SEPTEMBER 2--An imprisoned drug trafficker who once faced the federal death penalty is at the center of a criminal probe into the smuggling of contraband--including cell phones and narcotics--into the Manhattan jail that has housed some of the country’s highest profile inmates, The Smoking Gun has learned. A Department of Justice probe has identified Jorge “Geo” Torres, 38, as the inmate who allegedly conspired with a Bureau of Prisons employee to smuggle items into the Metropolitan Correctional Center in lower Manhattan, where al Qaeda members, Mafia leaders, and violent drug kingpins are regularly housed. 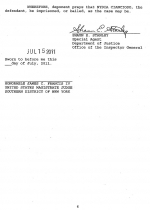 The ongoing federal probe resulted in the mid-July arrest of Nydia Ciancioso, a 41-year-old BoP case manager, on a felony conspiracy charge. 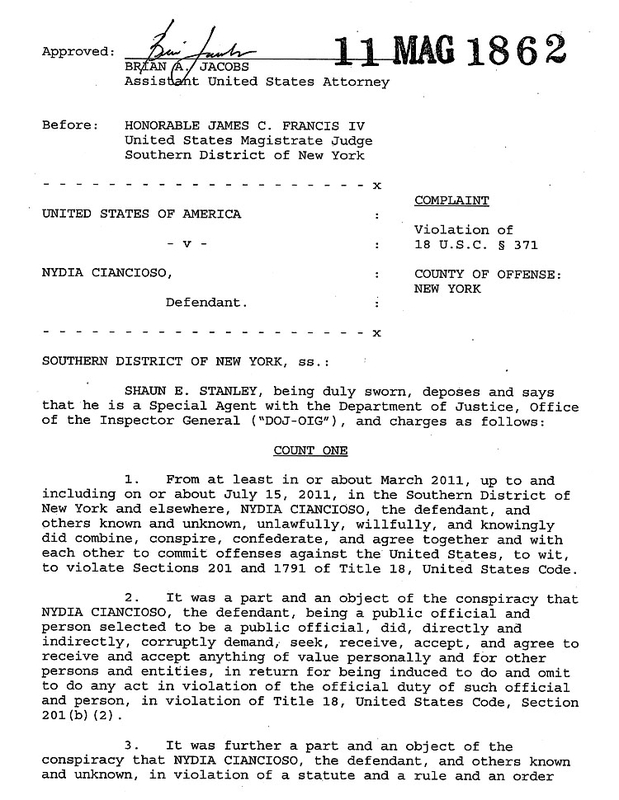 Ciancioso, who began working at the MCC in 1998, reportedly confessed her role in the smuggling operation when confronted by Justice Department investigators, according to a U.S. District Court criminal complaint. Torres, who was viewed as a trusted inmate, worked as a prison orderly for Ciancioso. 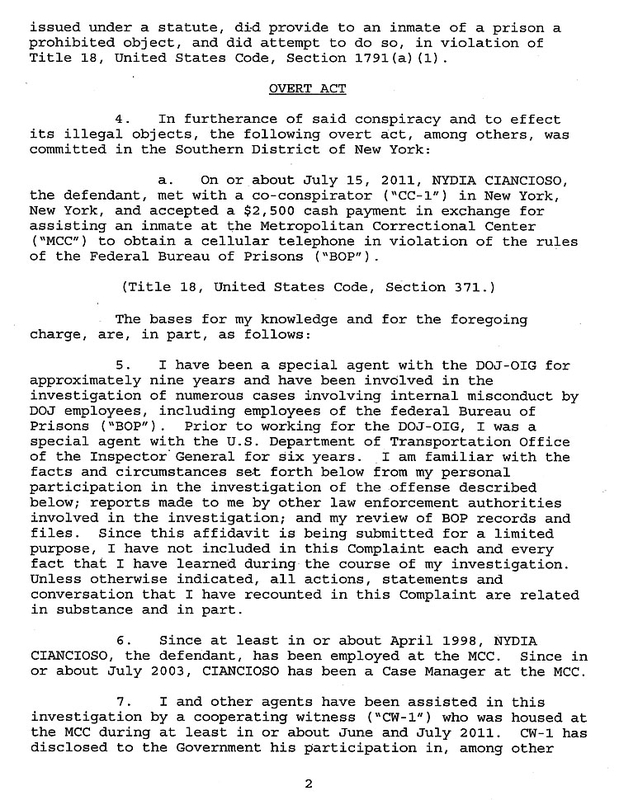 On July 15, the day of Ciancioso’s arrest, he was transferred across the river to the Metropolitan Detention Center in Brooklyn. 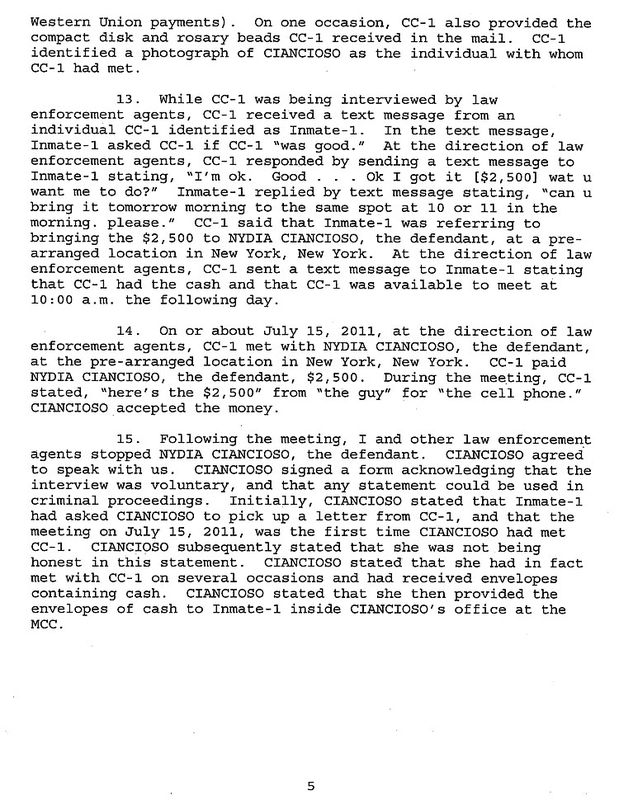 Ciancioso, agents reported, admitted receiving envelopes of cash from a relative of a coconspirator identified only as “Inmate-1.” Sources familiar with the smuggling probe identified the inmate as Torres. 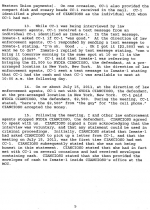 Ciancioso was arrested after accepting $2500--the going rate for a smuggled cell phone--from Torres’s sister-in-law, who was cooperating with federal investigators. 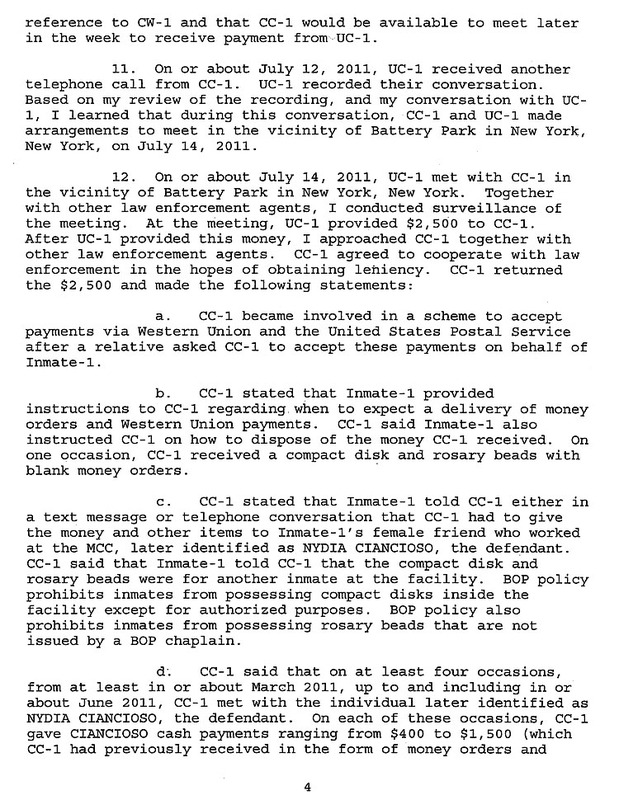 Ciancioso, a case manager since 2003, resigned from the BoP post following her arrest, according to her lawyer. 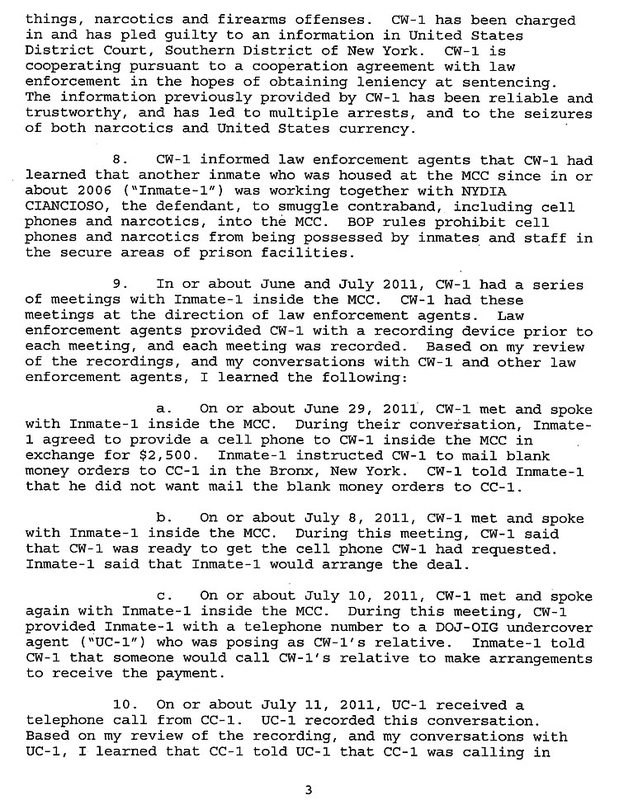 Since all inmate calls are recorded, the introduction of a cell phone into the MCC--or any other federal lockup--is of great concern to federal prison officials, who fear that a prisoner could use the device to engage in continuing criminal conduct. 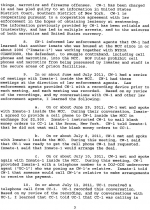 Torres, for example, used a phone in his possession to send text messages regarding the MCC smuggling operation. 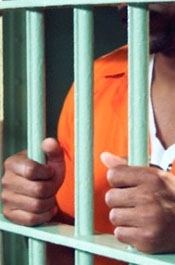 Torres, seen in the above mug shot, entered the MCC in November 2006 following his arrest for his involvement in a Bronx-based narcotics trafficking ring. At the time, Torres told DEA agents that he was responsible for “cooking” about “one kilogram of powder cocaine into crack cocaine every three days,” according to a prosecution filing. 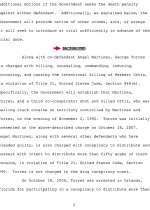 Along with his role as a manager of the cocaine operation, Torres was charged with murdering a competing drug dealer who encroached on his gang’s territory. 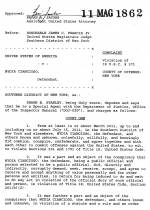 It was that allegation that exposed Torres and two codefendants to the federal death penalty. 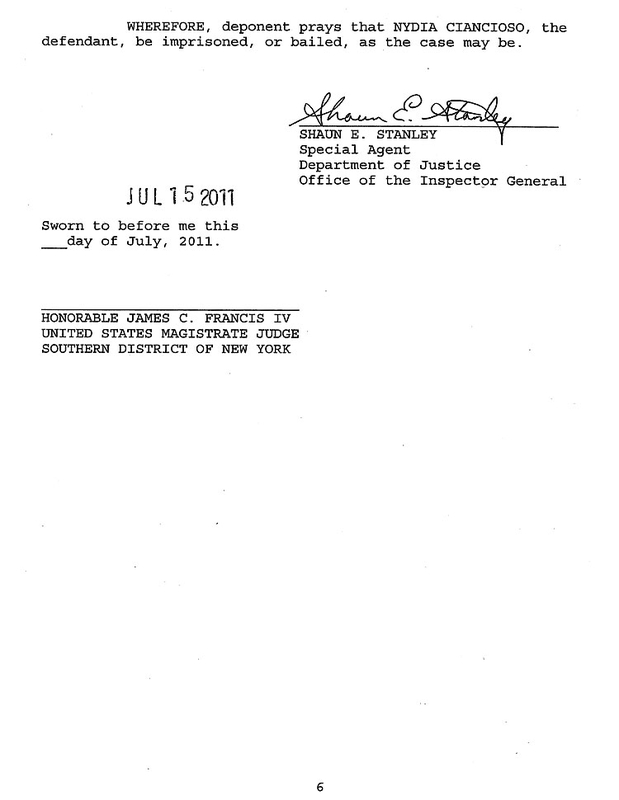 Department of Justice officials, however, eventually opted not to pursue the death penalty against Torres and his cohorts. 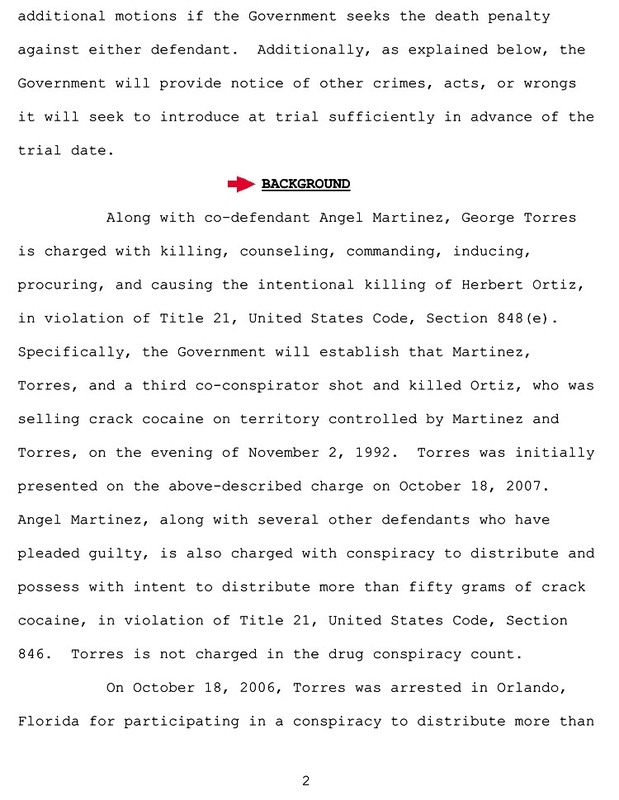 That decision likely played a role in Torres’s August 2009 decision to plead guilty to killing rival dealer Herbert Ortiz. While all his codefendants have had their cases closed, Torres has yet to be sentenced--more than two years after entering his guilty plea. Before his recent transfer, Torres had spent more than 4 ½ years at the MCC, likely making him one of the facility’s longest-term residents. A series of sentencing postponements kept Torres in the MCC (pictured above), allowing him to allegedly run his smuggling operation while working as one of Ciancioso’s orderlies. Since such an extended delay in sentencing can often indicate that an inmate has decided to cooperate with authorities in a bid for leniency, a TSG reporter asked Torres’s lawyer whether his client--who is facing life in prison--had flipped. However, attorney Andrew Patel declined to discuss Torres’s case. In fact, when first contacted, Patel was unaware of the ongoing MCC smuggling probe or that it had resulted in the arrest of a BoP case manager.